If you’re dismayed by the quality of the water in your Toronto, Ontario, CAN, residence, a home water filtration system from RainSoft can produce noticeable improvements. Whether you’re most concerned about a strong taste or odor, an unusual tint or texture, or even the effect that your water can potentially have on your health, our problem-solving filters can put your mind at ease. Our systems have even been Tested and Certified by the Water Quality Association. This optional certification process reflects RainSoft’s complete dedication to reliable products and truly impressive professional standards. And, if that’s not enough for complete peace of mind, we’ll even back your purchase with our industry-leading guarantee. That’s how positive we are that we can help you address any problems you’re experiencing with your water. 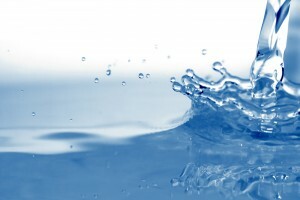 For additional information about a home water filtration system, contact RainSoft today. We’ll connect you with an authorized RainSoft dealer in Toronto, Ontario, Canada, who can answer your questions and get you scheduled for a complimentary in-home water test.